Sometimes a clean kitchen in your residence, your restaurant or any other food establishment is not enough when it comes to flies. Every situation is different there is no single fly control program that will work in every case. Our experience in fly control can help you manage such problems. Because of their high movableness and their breeding habits control measures should be directed in order to break their life cycle and elimination of adult flies. Flies are a major problem to food establishments. Many commercial food handling businesses such as restaurants, find themselves fighting fly problems. Any facility that deals with the manufacturing, packaging, storing or serving food products are likely to have continuous fly problems. Unless a pre-planned pest management program is implemented the problems are bound to get worse over time. To combat flies, we have developed an effective targeted strategy for your facility's specific concerns, including clean out services, maintain plan and educating your staff on measures to help deter future fly issues. Your fly control program may include fly light trapping service. Our slim profile insect lights use ultraviolet bulbs to attract flies. Once inside the light fixture, flies stick to a non-toxic glue board and are unable to escape. Flies trapped inside are not visible from the outside of the fly light. The glue board traps are replaced on a regular basis by our technicians. There are a variety of fly light styles available to suit your needs. Fly lights can range from industrial-looking fixtures with shatter-proof bulbs, to more attractive lights designed to blend in with the interior decor. These lights are great for fly control in restaurants, hotels, dining rooms, hospitals, and other public areas where fly management should be discrete. EUDAIMONIA Pest Control will physically remove any infestations and take measures to eliminate fly larvae and fly breeding grounds by using biological and chemical treatments. Flies removal involves treating premises and major breeding sites of flies. 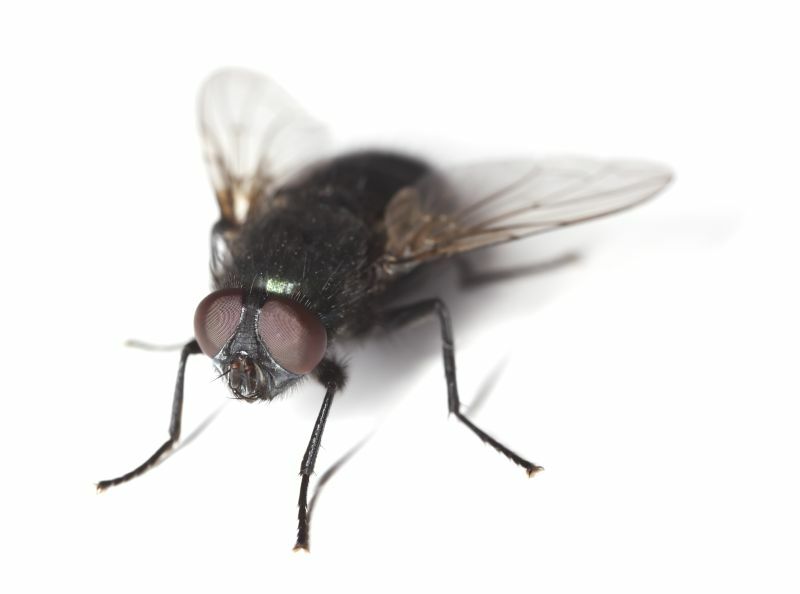 Flies can regularly be found in homes and businesses across the USA. Some species are more common than others and are attracted to different environments suited to their natural habits and lifecycle. 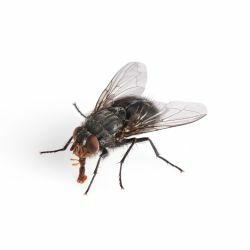 Flies are a common invader in homes and commercial accounts. But they are more than a nuisance. Flies land and feed on filth one moment and food and food preparation areas the next. 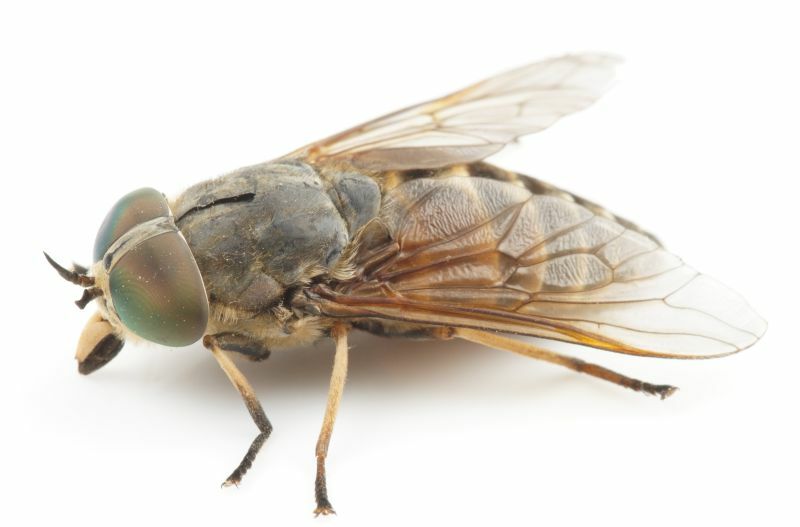 This behavior lends itself to serious contamination of areas and flies are known to carry over 100 different kinds of disease-causing germs such as typhoid, cholera, Salmonella, bacillary dysentery, tuberculosis, anthrax, ophthalmia, and parasitic worms. Knowing about the size, habits, seasonality and lifecycle of different fly species, can help to identify the most effective prevention and fly control methods .Flies and other pests can contaminate food and food preparation areas and can even spread diseases to your customers and staff. The best way to avoid problems with fruit flies is to eliminate sources of attraction. The first step is proper sanitation so you can eliminate any breeding sources. All stages of fruit fly infestations depend on organic debris to complete the complete fruit fly cycle. Whenever possible, food and materials on which fruit flies can lay their eggs must be removed. Killing adult fruit flies will reduce infestation, but elimination of fruit fly breeding areas is necessary for good management. Once a structure is infested with fruit flies, all potential breeding areas must be located and eliminated. Fruit flies are a common problem for many homeowners or food establishments and are often seen swarming around kitchen fruit bowls and near garbage storage areas. As the name implies, fruit flies are attracted to fruits, as well as vegetables, sitting out on store shelves, in bowls in kitchens, and ripening in the garden. They also breed in drains, garbage disposals, trash containers, empty beer and soda bottles or cans, and soppy mops and buckets. Fruit flies only need fermenting fruit or a moist film of organic material to breed and thrive. Fruit flies exhibit the typical four-stage insect reproductive of egg-larvae-pupae-adult. The larvae begin feeding on decaying fruit immediately upon hatching. It takes about one to two weeks to complete the entire metamorphosis. 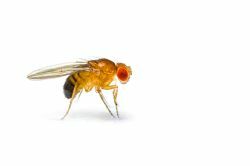 What makes fruit flies so difficult to control is that one female fruit fly can lay as many as 500 eggs in her short lifespan. Eudaimonia pest control specialists with high standards in restaurant, catering business, or other food service operations have developed a management method with unique products and services designed to successfully manage drain fly infestations in commercial facilities, fully compliant with all food safety programs. Eudaimonia's professional fruit fly control in commercial accounts stops the fruit fly breeding cycle and reproduction, reduces food contamination and protects the reputation of your business. Bioremediation and drain treatment are a key component to your sanitation program. Food & beverage service managers need to have an active program that manages the sustained threat that accompanies decaying organic matter found in drains and grease traps. Lack of attention to these areas promotes fly infestations that leads to low regulatory scoring, fines, and unhappy clients. Integrating Eudaimonia Pest Management with your Drain Line Services will provide a proactive program based on the needs of your business. One of the best ways to control mosquitoes is to prevent them from breeding. That is why a comprehensive mosquito control program is important for your property. 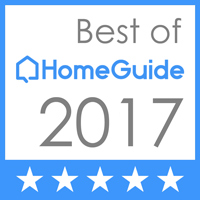 Eudaimonia's mosquito treatment plan begins with a pest management professional conducting a thorough property inspection and identifying the kind of mosquitoes causing problems. Once the inspection and identification is complete, your pest management professional will prepare a mosquito treatment plan that provides recommendations and assistance for both source reduction and necessary chemical product use. We provide mosquitoes prevention services to protect your property and business from these unwanted pests indoor and outdoor. Our service includes the creation of a barrier around your property that will keep mosquitoes away. 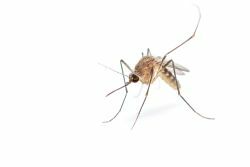 Some chemical product uses that may be needed for mosquito treatment include applying insecticides to vegetation that adult mosquitoes use for sheltered resting sites and applying insect growth regulators that prevent mosquito development. We work with you to develop and implement the most effective mosquito removal and prevention methods for your needs. Mosquitoes are flying, biting insects that develop in water during their immature stages. Some of the many species found in New York are considered pests and can transmit diseases to humans and some animals. Mosquitoes are small flying insects that feed on human and animal blood or plant juices. Three are the most common species of mosquitoes in New York State. Only female mosquitoes bite to get a blood meal for their growing eggs. Mosquitoes usually become infected from feeding on infected birds. Mosquitoes lay their eggs in moist areas, such as standing water. The eggs become larvae that remain in the water until they mature into adults and fly off. Weeds, tall grass and shrubbery provide an outdoor home for adult mosquitoes. They also can enter houses, apartments and buildings through unscreened windows and doors. Many mosquitoes will breed in any container that holds water, such as flowerpots, wading pools or discarded tires. Some mosquitoes are active between dusk and dawn, when the air is calm. However, others will feed at any time of day. Mosquitoes prefer a warm, moist environment. They are active from early summer until late fall in New York State. Wasp control treatments are best done at night. The pest control technician will identify the pest and make recommendations to correct conditions that are conducive to infestation. Improving sanitation and removing organic debris will reduce their food supply can usually control them. Elimination of moisture sources is also helpful. 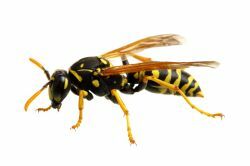 Pests that may pose an immediate health threat such as bees and wasps will be treated using a spray product or dust may be used where nests are located underground or in a wall void. No pesticide will be applied unless the pest has been identified and no other pest control options are available.